Three types of percussion instrument usually form the backbone of school music work. The instruments are wonderful because just about anyone can play them with zero technique and yet, if you choose to develop your technical abilities, the possibilities are endless. You need to have a variety of high and low pitched instruments. Sadly, a bass metallophone is roughly 10 times the cost of a small glockenspiel but some provision of bass notes is vital. You might want to look at the individual bass bars produced by several manufacturers as a more reasonable option. All of these instruments tend to come as diatonic instruments (just the white notes) or chromatic (the white and the black notes). Once again cost may well be a factor here but in the end, chromatic instruments offer you a much greater range of sound. 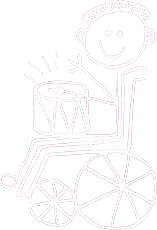 There is now a vast range of instruments, stands and beaters available which have been designed for pupils with disabilities. Look them out. If you dream that it’s there, it probably is. These boards are very simple to make and can be a great way of involving children. One or two children can lie on the board and feel the vibrations made by tapping or beating the board with hands, beaters or even bells. A drum can be placed on the board – when it is beaten the vibrations are amplified by the board. For more information about making and using a resonance board click here.